Dr. Christopher's Thyroid Maintenance Formula is a thyroid and assisting glandular aid. This herbal group (containing Kelp, Watercress, Nettle Leaf, Irish Moss and Sheep Sorrel Herb) assists in controlling metabolism and gives herbal feeding to the thyroid glands to do their job more efficiently. This is a very fine glandular aid that can help with conditions such as constipation, dyspepsia, glands and headache. Since the passing of Dr. John R. Christopher, his family has always been concerned with the manufacturing of his time tested formulas. Wholistic Botanicals L.L.C. has been chosen as the company because of its commitment to the Christopher philosophy in manufacturing and marketing of Dr. Christopher’s formulas. The advisory board consists of Dr. Christopher’s family. Dr. Christopher's Mission is to provide natural whole food dietary supplements according to the Dr. John R. Christopher ND, MH philosophy at fair prices with excellent service. Dr. Christopher’s Original Formulas are time-tested & have been manufactured since 1945 & trusted by millions of people because they work. Time & time again, they hear from customers that they tried another brand but did not experience the same results as with Dr. Christopher’s Formulas. To this, they reply it’s because the quality & experience that is put into every bottle they make. From the fields that harvest their herbs, through the state of art manufacturing processes, down to the finish product that their customers take daily. Dr. Christopher's only use Whole Herb/Plant products, not standardized. Today the process of extracting “leading active ingredients” is common place & is called “Standardization.” It’s all the rage throughout the chemical & natural food industry. The theory is that if one dose of a “suspected” key ingredient is good, a large dose all at once of that ingredients is better. Not so! Those leading active ingredients are properly placed, by Nature, in proportions mixed with other ingredients to keep the herb in perfect balance synergistically. When taken in whole form, they present to your body a balanced solution. Dr. Christopher's only accept Non-treated or steam treated Organic & Wildcrafted herbs when available (reasons for unavailability: endangered, out of season, failed crops etc. ), & all ingredients are listed on their product label. They are 100% Pure. They do not use chemicals or chemical clones, added fillers/flow agents, or genetically modified ingredients that many companies use to cheapen their product for profit. As the saying goes “You get what you pay for”. If you start with a cheap raw material, there is nothing you can do in the manufacturing process to improve quality. Sourcing high-quality ingredients for their formulas is key. Often they will receive a sample from a supplier & test results show that it does not contain active constituents in proper ratios so it is rejected & the sourcing process continues until the high quality expectations are met. Unfortunately, there are many that do not share the same high standards in the marketplace today & as is always the case they get what they pay for. They can’t expect a cheap car to out perform & have the luxuries of a top-of-the-line vehicle, just as they shouldn’t expect a cheaply made herbal product to benefit our body the same way the highest-quality supplements will. Their vegetarian caps are manufactured with state-of-the-art technology, & made from a vegetable derived raw material. Their hard shell vegetable capsules are produced with Hydroxipropylmethylcellulose (HPMC), derived from wood and cotton fibers, which is certified as Kosher for year round & passover use by the Union of Orthodox Jewish Congregations of America & meets all requirements of current USP and FCC (Food Chemical Codex). HPMC. They are considered Generally Recognized As Safe (GRAS) by FDA, are non-ionic & sulfate free. Finally there now is a real alternative for vegetarians & consumers who are restricted by religion from taking capsules made from beef or pork by products. Dr. Christopher Extracts are a 4:1 ratio (4 part herb to 1 part vegetable glycerin or pure grain alcohol). They use a Cold Percolation Process to ensure that no enzymes are destroyed. This extraction process preserves the natural occuring enzymes in the plant product. Unfortunately it’s all too common for other manufacturers to use a heating process which destroys many of the vital nutrients & enzymes in the plant. Their glycerin is tested for DEG contamination and is DEG free, kosher, & derived from palm. They do not rely on CofA’s (Certificates of Analysis) from any source as they validate the identity of each plant & finished product through High Performance Thin Layer Chromatography to ensure their quality. Many competitors use IR (Infrared) to verify the identity of each plant. 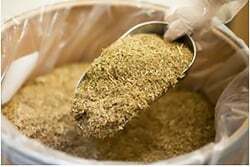 This method is cheaper, less accurate & does not have the ability to detect contaminates, such as pesiticides in the herb. They do Organoleptic testing & a full spectrum of Microbiological Testing on each plant & those tests include TVC (Total Viable Count), Yeast & Mold Counts, Coliform Counts, E-coli & Salmonella. Other quality assurance tests performed on their Raw Materials include High Performance Liquid Chromatography, Gas Chromatography & Heavy Metal ICP-MS test. Their raw materials & finished products go through more testing than many of their competitors to ensure their customers all over the world get consistently high-quality products. They meet & exceed current government GMP (Good Manufacturing Practices) quality standards. Their state of the art production & raw materials storage facilities includes a climate-controlled warehouse & cutting-edge laboratory equipment. Their company receives regular in house audits as well as FDA audits. The Staff at Wholistic Botanicals L.L.C has years of experience of making natural products that yield results. They have & will continue keeping the highest standards set by the late Dr. John R. Christopher in producing his time-tested formulations. They seek the best in nature, produce the very best & strive to build trusting relationships with their customers. 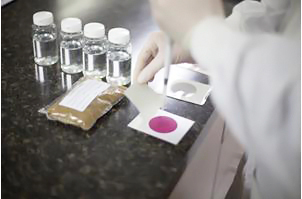 Their commitment to quality & control in every aspect of testing along the manufacturing process reflects their commitment, you can be sure you are getting the highest-quality, best-formulated products available. What they do here is important but the way they do it matters most. Take 2 capsules 3 times a day, or as directed by your healthcare professional. Kelp Plant, Wildcrafted Watercress Plant & Watercress 4:1 Extract Powder, Wildcrafted Nettle Leaf, Wildcrafted Mullein Leaf, Wildcrafted Parsley Leaf, Irish Moss & Wildcrafted Sheep Sorrel Herb. Other Ingredients: 100% Vegetable base capsule. No fillers or chemicals.